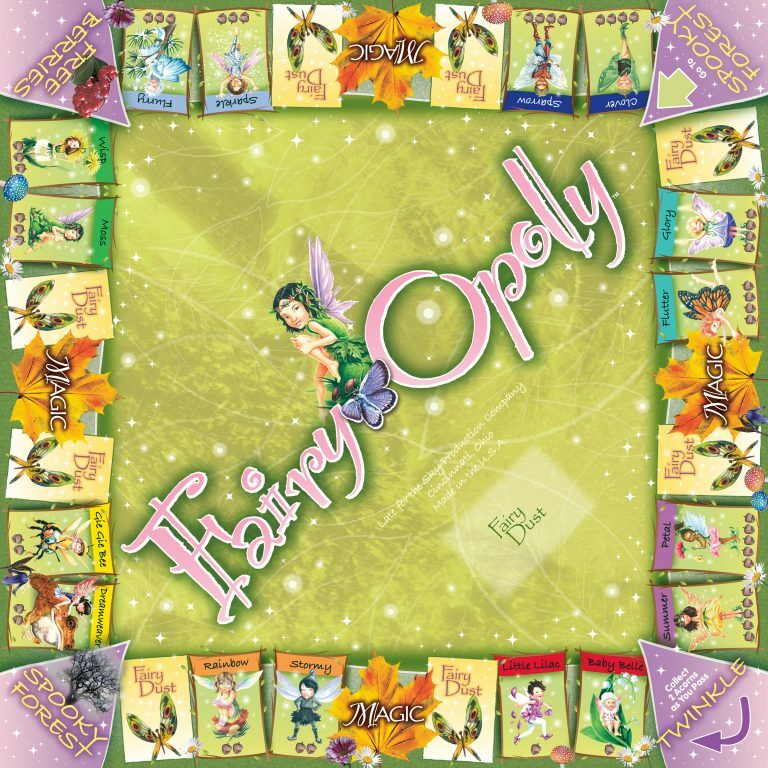 Fairy-opoly is a game that allows imaginations to flutter and soar! Players collect fairy friends, give those fairies a pair of wings, and collect acorns each time another player lands on their space. Oh the friends that can be made! Sprinkle your pretend fairy dust and advance to Twinkle. Enter a charming world of lovely little fairies with positive messages to share. There is magic in believing! You too can be a fairy!